Huge Savings! Up to 11% off on Mushrooms & Truffles at Love for Salad. 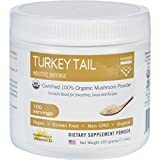 Top brands include PowerNutri Shop, Shiitake Center, Coluccio, Mondo Food, Crayssac Truffle, Himalayas Mushroom & Truffles, Oregon Mushrooms, GIORGIO, Tentazioni, Mushroom Matrix, Savini Tartufi, FungusAmongUs, D'allesandro, & Drews All Natural. Hurry! Limited time offers. Offers valid only while supplies last. 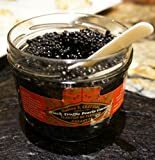 Savini Salsa del Tartufaio- Truffle Gatherers Sauce - Truffle Sauce- 5.99 ozs. Fungus Among Us Dried Organic Porcini Mushroom, 1 Ounce - 8 per case.